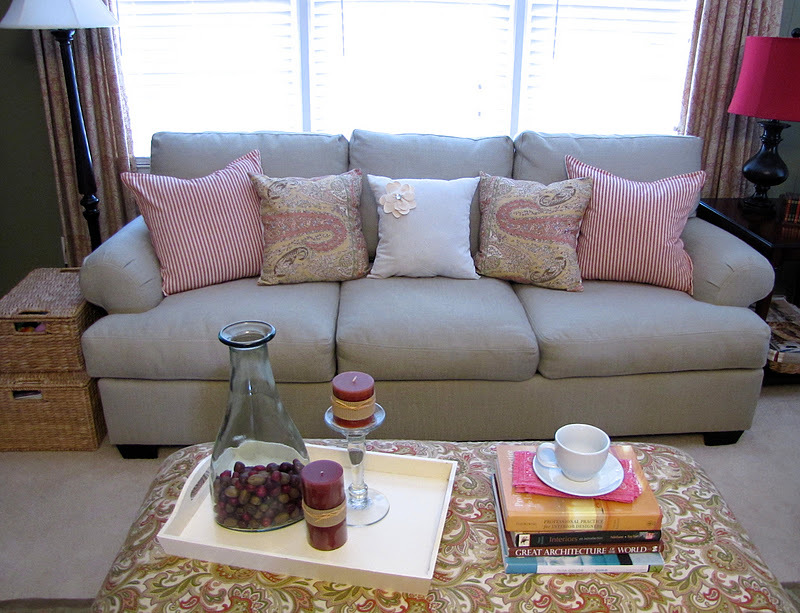 Since we got a new sofa I really wanted some pillows to go with our new look. 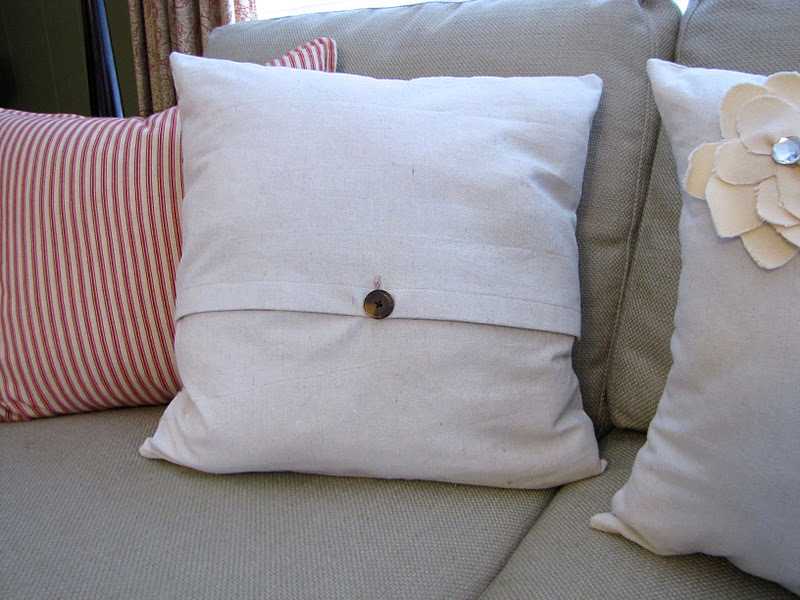 I love the look of Pottery Barn so I decided to make some pillows with the PB look at a fraction of the price. 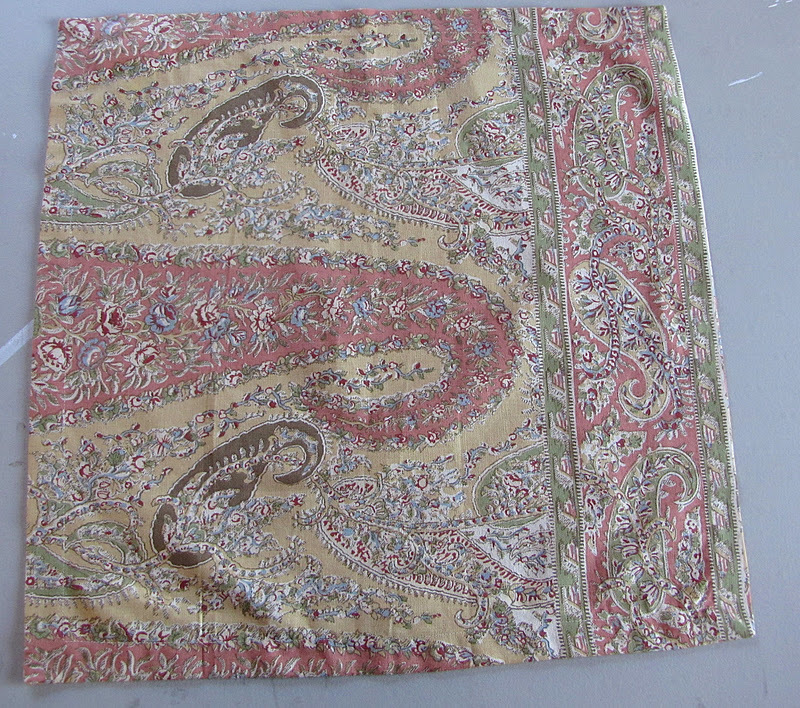 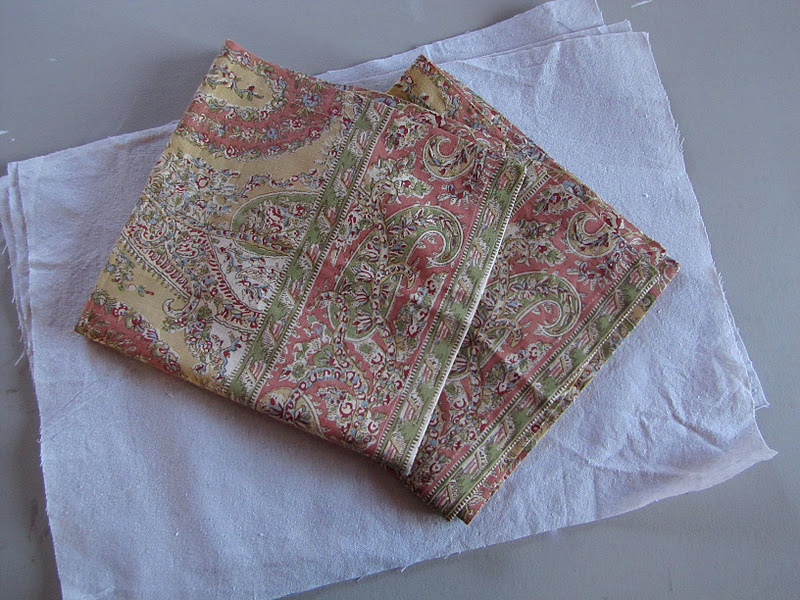 I purchased two of these napkins for about $7.00 each to use for the front of my pillows. I used canvas drop cloth and pillow inserts which I already had on hand to make the rest so the cost for each was only the cost of the napkin. 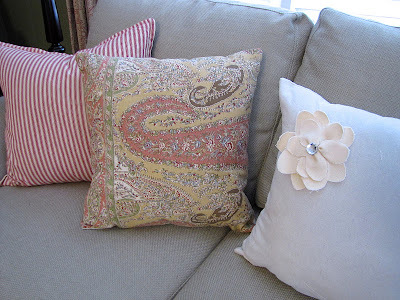 Patterned Pottery Barn pillow cases start at $29.00 so to make my own was a much better deal! 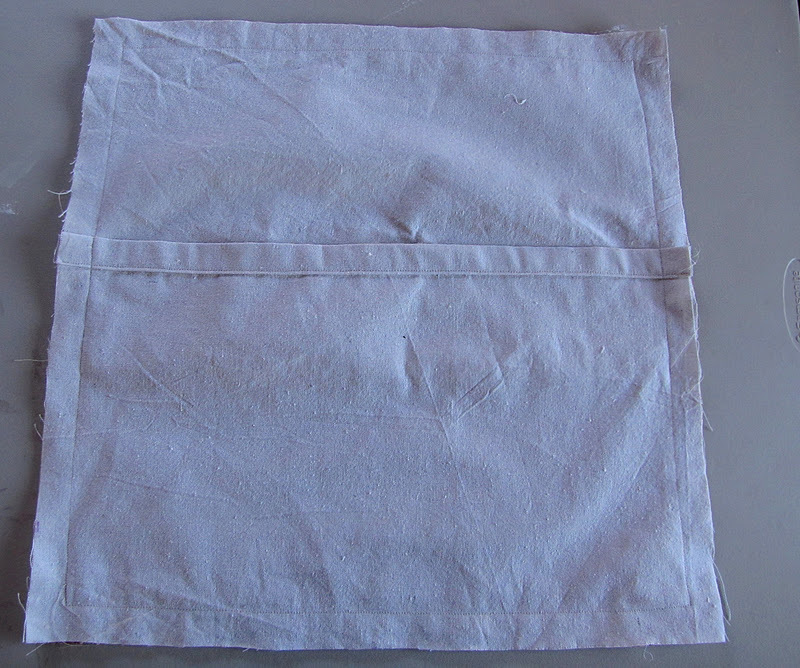 My napkins measured 20" square and I needed my finished measurements to be 18" square to fit my inserts. 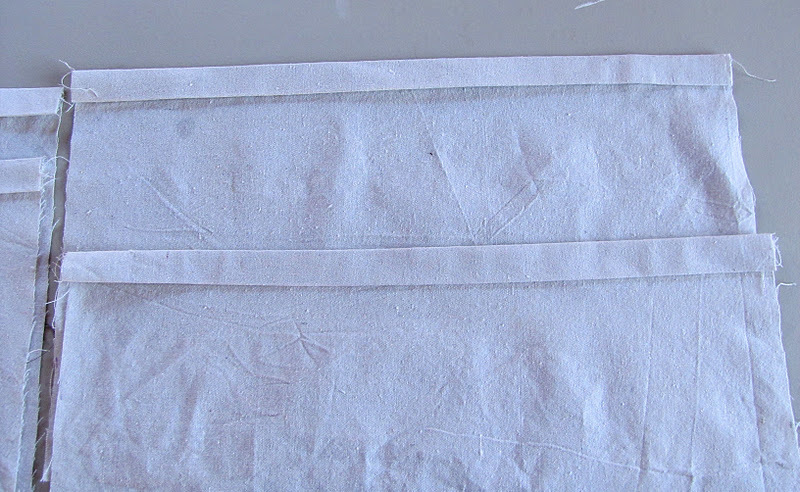 So to eliminate extra work I used 1" seams so I wouldn't have to take out the existing seams in the napkin. 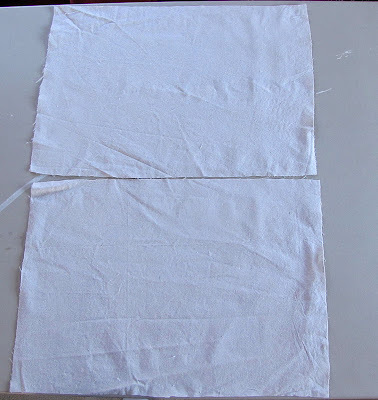 These measurements can be adapted to fit any size insert as long as it's smaller than the napkin. 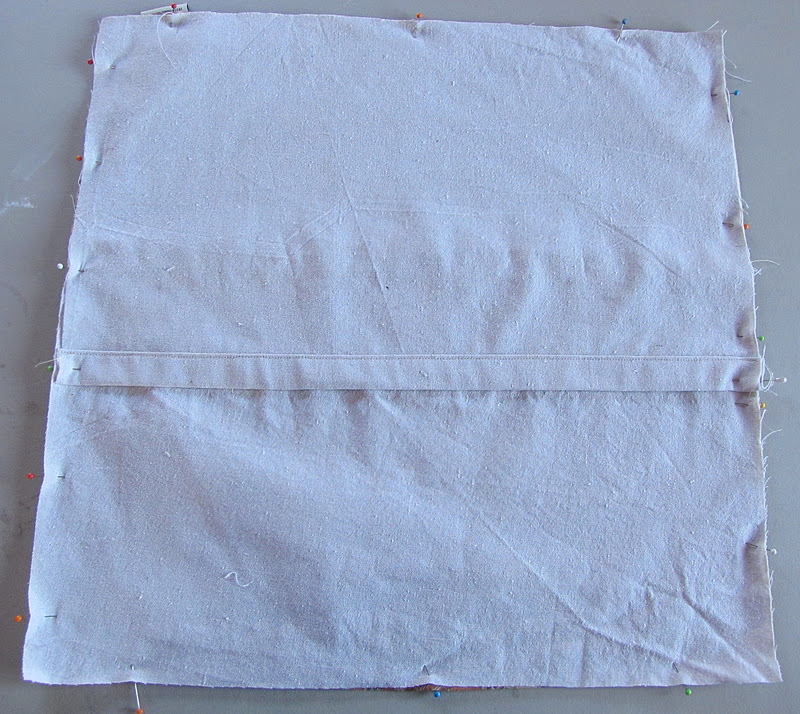 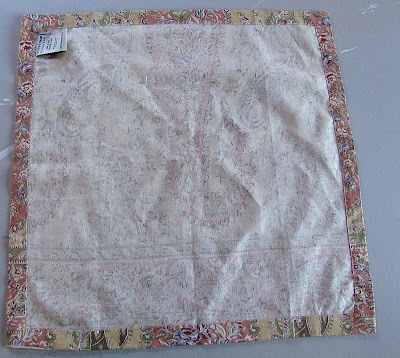 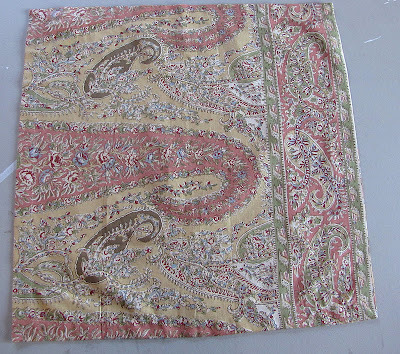 To create my envelope backing I cut out two pieces from my canvas drop cloth measuring 14" x 20". You want them to overlap each other creating a pocket to slide the insert into. 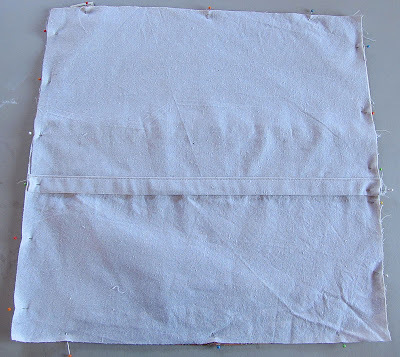 On one end of each of the drop cloth pieces create a 1" double fold hem by turning it under 1" twice. Then sew it in place close to the edge. 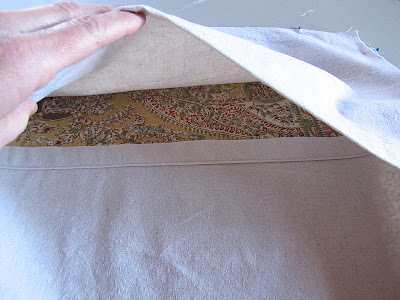 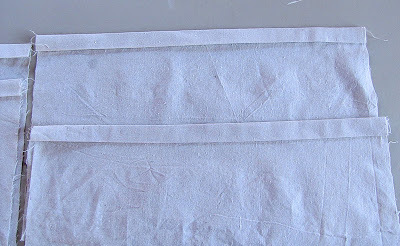 With right sides facing, lay your backing pieces on top of the napkin with the finished seams in the middle. 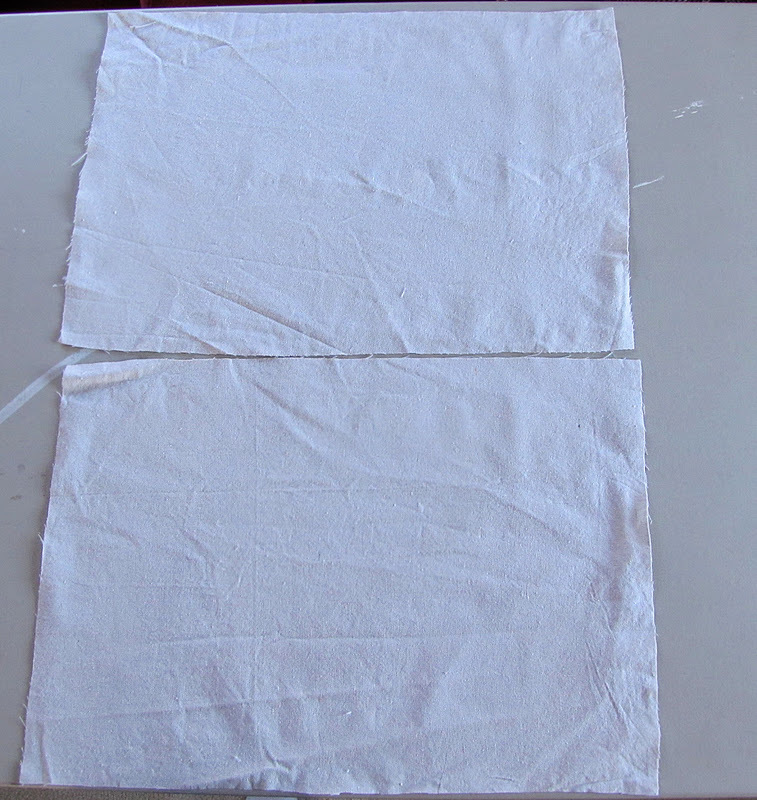 So one is overlapping the other like this. 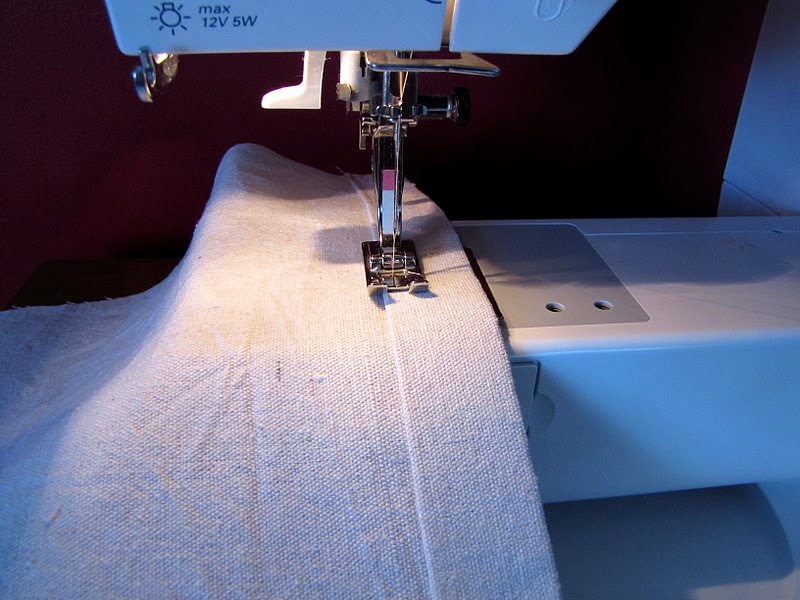 Then sew it all the way around using a 1" seam. 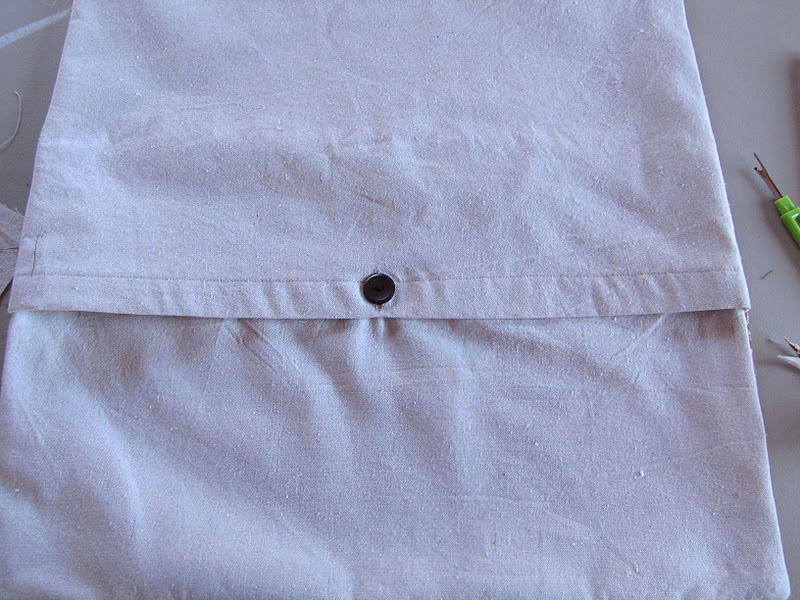 I clipped the corners, turned it right side out and ironed it flat. 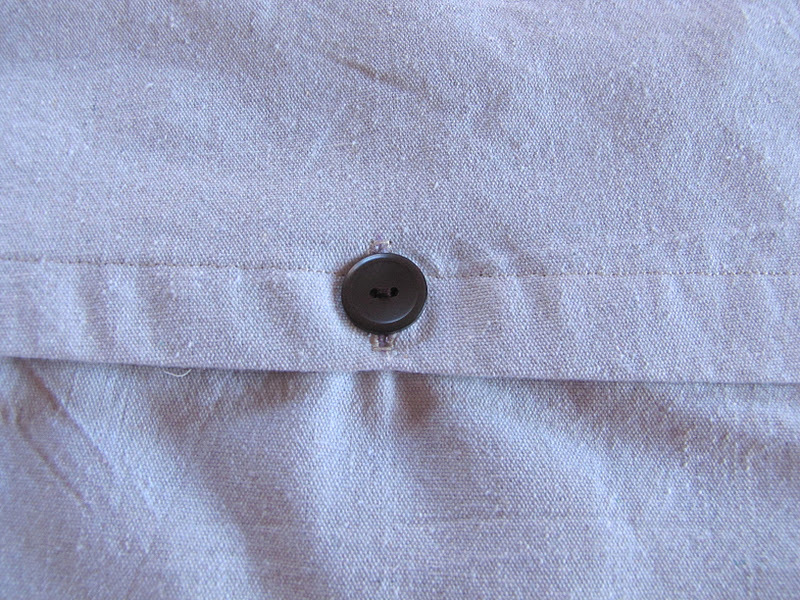 I added a button and button hole to the back to secure it.